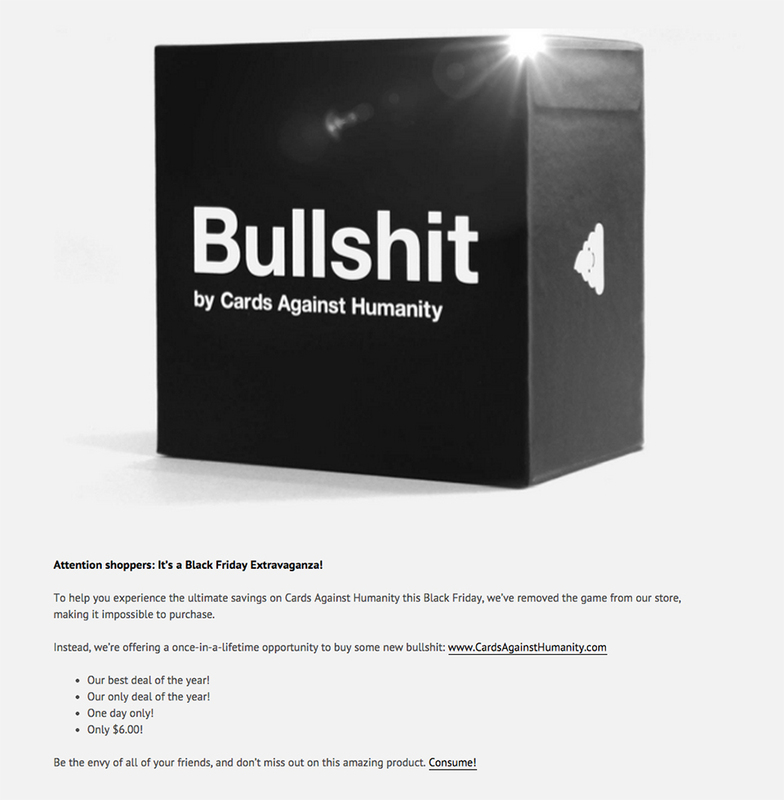 (NSFW: Language) Many stores had Black Friday sales, but Cards Against Humanity went ultra-hipster. Not only did it not have a sale, it took down its card game and replaced it with poop. Thousands called their bluff. Here’s one of ’em.